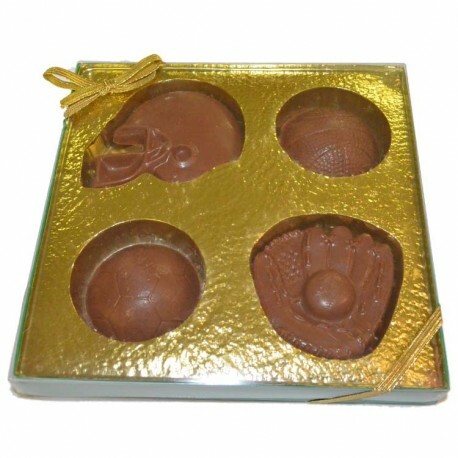 This 3.6-4 oz Chocolate box depicts a variety of sports including: soccer, baseball/softball, basketball and football. 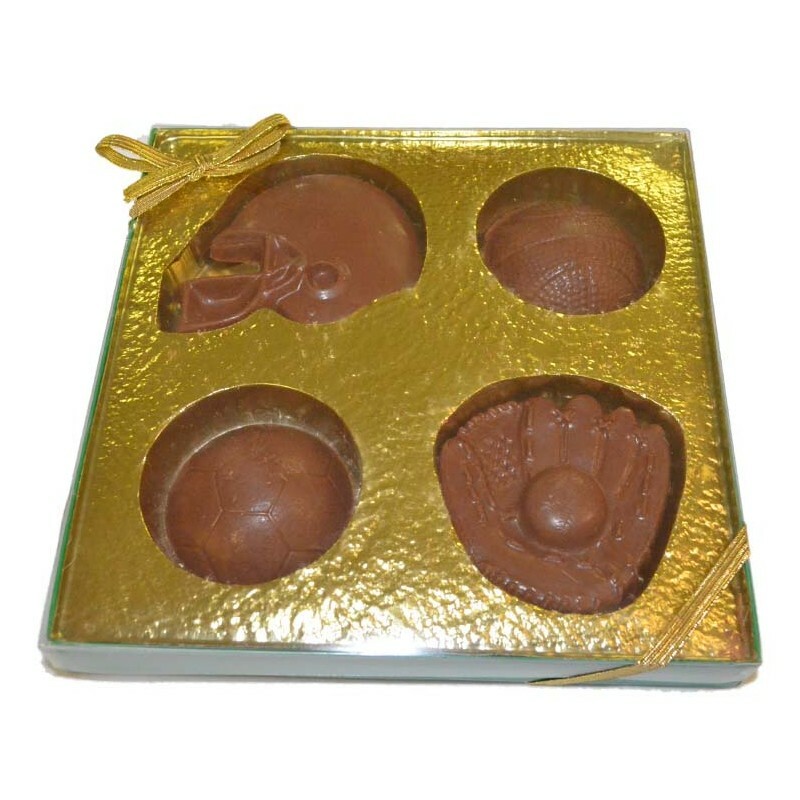 It would make the perfect treat for any sports fan! 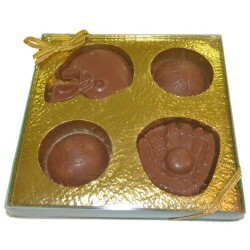 It is available in Milk, Dark, or White Chocolate.